Momma Jorje: NPN Volunteer Blog Blitz: Books, Books and More Books! NPN Volunteer Blog Blitz: Books, Books and More Books! I am proud and honored to be volunteer with the Natural Parents Network (NPN), a community of natural-minded parents and parents-to-be where you will be informed, empowered, and inspired. When you visit the NPN’s website you can find articles and posts about Activism, Balance, Consistent Care, Ecological Responsibility, Family Safety, Feeding With Love, Gentle Discipline, Healthy Living, Holistic Health, Natural Learning, Nurturing Touch, Parenting Philosophies, Practical Home Help, Preparing for Parenting, Responding With Sensitivity, Safe Sleep, and so much more! The volunteers who dedicate their time and energy to make NPN the outstanding resource it is also spend countless hours informing and inspiring others on their personal blogs. This month, the Natural Parents’ Network Volunteers are sharing posts that celebrate books and reading! You will read posts that share some of our volunteers’ favorite books and/or books they recommend you read for the sheer joy of reading. Other posts outline recommended reading as it relates to a wide variety of natural parenting topics. You will also find posts which outline favorite children’s books as well as books that inspire learning or have an educational focus. And of course, no reading list would be complete without our volunteers’ favorite cookbooks and health resources! Lauren at Hobo Mama shares her review of two anthropologically minded books on motherhood and child rearing: "What Our Babies, Ourselves taught me about my baby & myself," a look into the attachment parenting our babies have been biologically primed to expect in a book by Meredith F. Small, and "Maternal ambivalence … and why it's ok," sort of the darker or more realistic side of attachment parenting based on a reading of Mother Nature, by Sarah Blaffer Hrdy. In Our Babies, Ourselves, Small writes not just as an anthropologist, wanting to observe and record human behavior and how it relates to our biological and evolutionary roots as mammals, but also from an ethnopediatrics perspective, which seeks to advise us as parents how to integrate babies' innate needs with our culture in an infant-appropriate way. It's one of Lauren's favorite books for giving scientific justification for the benefits and longstanding history and cross-cultural popularity of attachment parenting. Mother Nature, also by an anthropologist, shares experiences of motherhood as witnessed across the world and various cultures, across history and a variety of time periods, and even across species. The text is often dark and disturbing — an unflinching look at how mothers don't always live up to what we've decided (as modern Western humans) is their "nature." While we might aspire to be self-sacrificing and perfectly nurturing, we have to acknowledge this salient truth: What babies need and what mothers need or want can be in conflict. Mothers don't always live up to the ideals of "maternal nature" — and, Lauren would argue in this review, that can be perfectly acceptable. You can purchase the books from these Amazon affiliate links: Our Babies, Ourselves and Mother Nature. Be sure to follow Lauren on Hobo Mama, LaurenWayne.com, her newsletter, Facebook, Twitter, Pinterest, and Google +. Julia also shares her review of The Other Baby Book, her absolute favorite baby book. She loves this book for presenting information on how to parent your baby outside of the mainstream and for the gentle, sometimes humorous way it is written. The book is available from Amazon. Joella at Fine and Fair shares her review of I Love Me!, a children's book of Affirmations filled with simple but powerful phrases that help children build self-confidence and shape a positive world view. She loves this book for its simplicity and uplifting messages; it quickly became a favorite both in her home and to give as a gift! Joella also shares her review of Mama, Talk About Our New Baby, an attachment parenting friendly way to introduce to older siblings-to-be what it will be like to have a new baby in the house. She appreciates the inclusion of breast feeding, baby wearing, and co-sleeping, which she found absent from mainstream "big sister" books. This book was instrumental in preparing her daughter to welcome to her new baby brother into their family and home! Be sure to follow Joella on her blog, Facebook, Twitter, Pinterest, and tumblr. 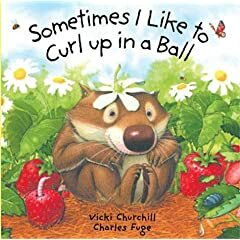 Mandy at Living Peacefully with Children shares her review on Sometimes I Like to Curl Up in a Ball, a picture book by Vicki Churchill and Charles Fuge. The book has been a favorite with all of her children and is one she often gives to other families. While it works for families of all styles, it particularly appeals to attachment parenting families and those exploring the joys of toddlerhood. You can purchase the book from Amazon. Be sure to follow Mandy on her blog, Facebook, and Pinterest. Mandy also shares her review on Parent Effectiveness Training P.E.T. by r. Thomas Gordon. Styled on non-violent communication, the book is a wonderful guide with effective techniques for communicating with your children and others. It is one of Mandy's favorite, and most recommended, parenting books. You can purchase the book from Amazon. 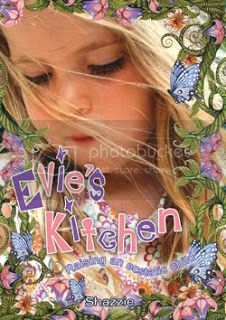 Christine at African Babies Don't Cry shares her review of Evie's Kitchen by Shazzie, a raw food recipe book aimed at young children and packed with natural parenting tips too. Shazzie is a raw food chef, and nutrition expert, I found her chapter on supplementation especially helpful. If you are wanting to incorporate more raw food into your child's diet then this book is a great resource! You can purchase the book from Amazon or Detox Your World.com. Follow Christine on her blog, Facebook, Twitter, Pinterest and Google+. Christine is also a huge fan of The Body Ecology Diet by Donna Gates. This book is the ultimate reference book if you are looking to correct in testinal flora issues, such as Candida. Donna Gates has been researching on the topic of Candida for years, and I would call her the ultimate expert. The Body Ecology Diet, which is not a diet, but a lifestyle WILL correct your intestinal flora imbalances leaving you symptom free! You can purchase the book from Amazon. Jennifer at Hybrid Rasta Mama is a research bug, lover of all books, and someone who has a hard time putting a good book down! Today, she shares two of her favorites; Beyond the Rainbow Bridge and a collection of books about...poop. Beyond The Rainbow Bridge, Nurturing Our Children From Birth to Age Seven is a beautiful book by Barbara Patterson and Pamela Bradley. First, it is a very concise book compared to a lot of parenting books. The authors cut right to the chase and get to what really matters without a lot of fluff and fancy philosophical BS. Although their approach to parenting is heavily influenced by the work of Rudolph Steiner, the way that they share information on development, discipline, play, and health is palatable for any parent whether interested in Waldorf or not. There is so much more that I adore about this book and it really has inspired me to retool my mothering ever so slightly. I think that it is a worthwhile read for any mama who wants to create a more harmonious and gentle environment for her child(ren). By implementing many of the techniques offered by the author as well as gaining a better understanding of development and play, an opportunity to better connect with and mindfully engage your child opens up. In the post Books About Poop, for Children and The Adults in Their Lives, Jennifer shares her top 10 books about poop! Come on! You know you are curious. And trust her, these books are all great reads and lots of fun! Who doesn't love poop? I've reviewed a few books here at Momma Jorje as well. 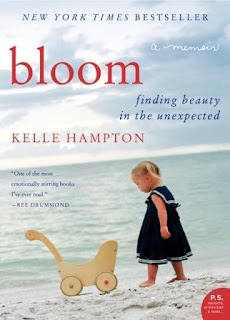 Most recently, I was asked to review Kelle Hampton's book, Bloom, about her life experiences leading up to the birth of her daughter with Down syndrome, the diagnosis and, later, the celebration of life and relationships. Make no mistake, though, his is Kelle's memoir. You can see my other book reviews in my Book Review post category. Mindful Play eBundle - Today Only! What is SLP... for us?